It’s that time of the year again.. the dry/harmattan season and you know what that means…. lots of dust and cool dry wind, which can also mean drier hair and parched strands for many of us naturalistas. Co-wash: Increasing your hair moisture is the first step to ensuring that your hair is prepared for the dry/harmattan season. Try to often stay away from shampoos this dry season, do more of co-washing. Using shampoo too often can strip the hair off its natural oils, which can sometimes lead to hair breakage. Co-washing instead helps retain moisture and in turn also cleans the hair when done correctly. Deep condition regularly: Dry natural hair leads to breakage. 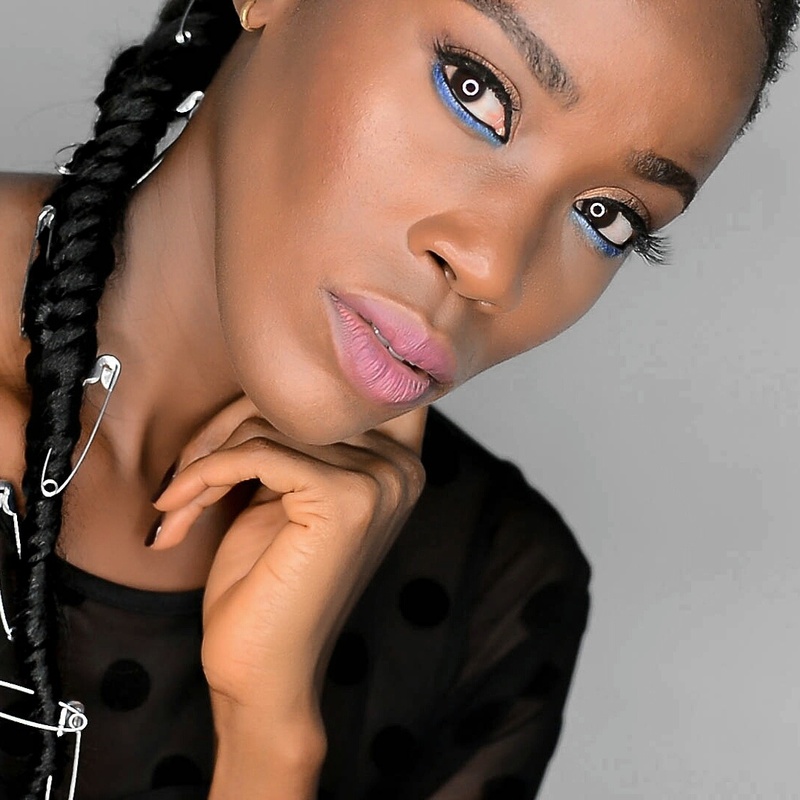 To minimize and avoid hair breakage, it is advisable to moisturize often especially during this dry season. Deep condition your hair weekly to lock in moisture and strengthen the hair. I also keep a spray bottle with a mixture of water, leave in conditioner and oil handy, I spray that on my hair daily to reduce dullness and dryness. The L.O.C method of moisturizing (i.e. apply a liquid, then an oil, then a cream or butter) is another way to keep your hair moisturized, doing it often helps seal in moisture in the hair which promotes hair growth and minimizes breakage. Protective Styling: Another tip for avoiding excessive breakage on your natural hair is to have low to-no manipulation and a very good way to achieve that is by putting your hair in a protective style. There are different styles and types of protective styling e.g. braiding, crochet braiding etc. So it’s a matter of personal preference but my go-to method of protective styling is wig wearing as can be seen in the pictures above. 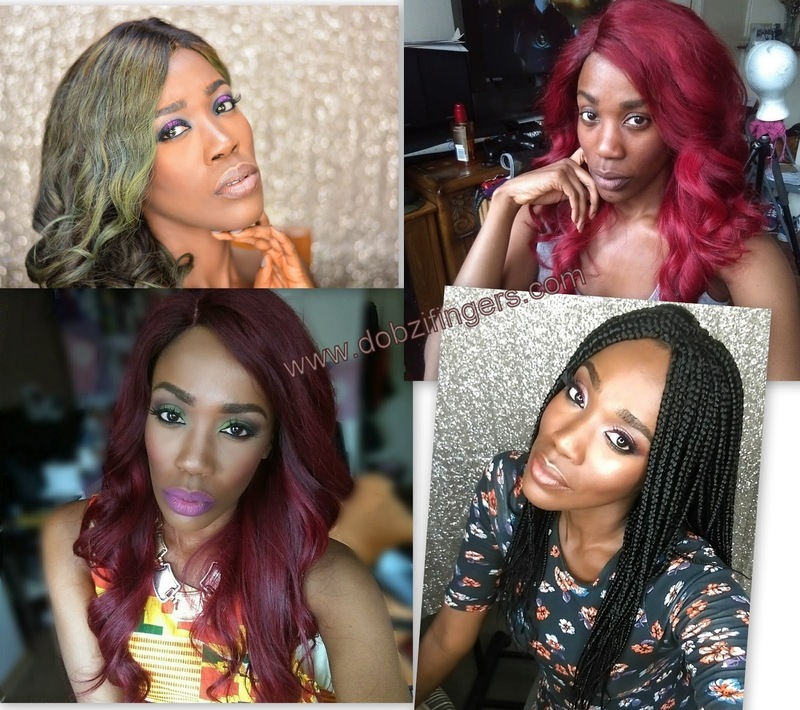 Dobzi Fingers makes a wide range of different wig styles (see here). I put my hair in cornrows and wig it out, it’s easier and more convenient for me and with this method of protective styling, I can do my weekly deep conditioning and also treat my hair whenever I want. 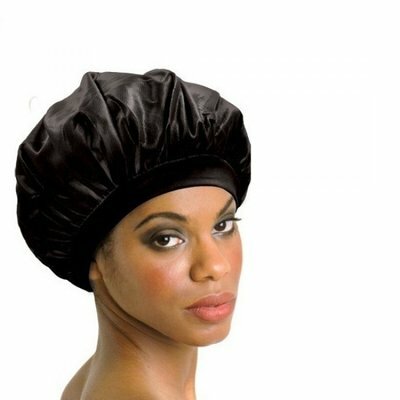 Wrap it up at bed time: Always sleep with a satin bonnet or scarf on. The aim for our hair this dry season is to retain as much moisture as we can so sleeping without a satin scarf, bonnet or pillow case defeats that aim. 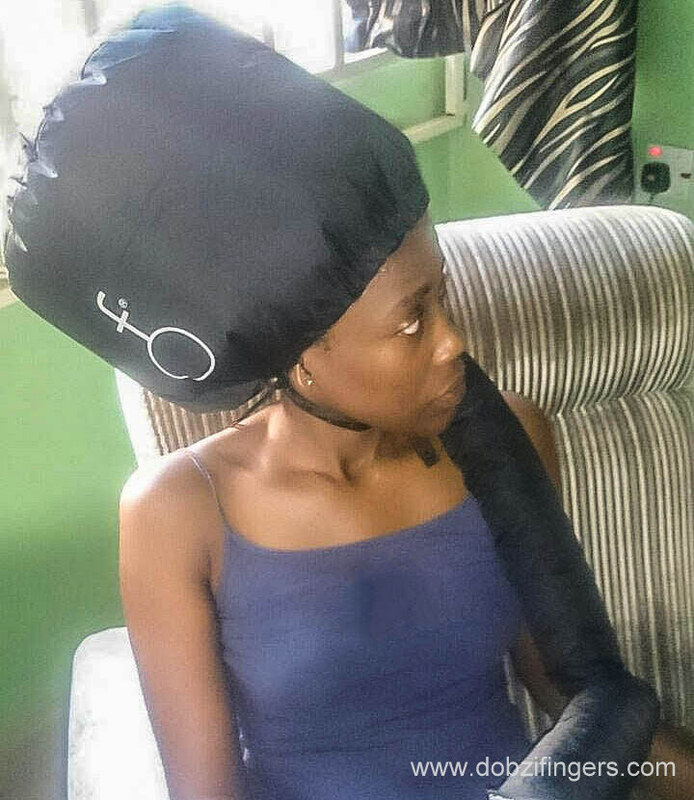 You may have gotten away with sleeping with your hair uncovered during the rainy season but doing it this dry season is a no no! Sleeping with a satin scarf or bonnet reduces moisture loss from your hair as you sleep and in turn reduces the risk of your hair breaking. Bottoms Up: Drink lots of water, it is important to remember that increasing your hair’s moisture also involves increasing water intake. So drink up! Your hair will thank you for it. Thank you lovelies for dropping by, see you in my next post, xoxo. It sounds kind of cool to me that Dobzi gave these useful Natural Hair Care Tips. There are a lot of natural hair products around us, but such kind of tips also help us a lot. Thanks.